Newcomers to FWIW -- and, from the stats Blogger provides, there are many, and not all of them Russians -- may wonder why I keep talking about #CookCountyJudicial candidates who filed Monday. I mean, it's Thursday already... hasn't anybody else filed in any of these races since Monday? But she's the only one. That will almost certainly change now that I'm putting up a post -- and, of course, it will certainly change by close of business next Monday, when the regular filing period ends. The bottom ballot position is supposed to be almost as advantageous as the top one, and with a multitude scrumming for the top line, some candidates hold back, deliberately lingering on the sidelines in hopes of snagging the bottom line. If you peruse the blog Sidebar, you will notice that there are several declared candidates who have, for whatever reason, chosen to hold off on filing... so far. Some of these may be worried that their petitions are yet too 'thin' -- but others may have the Good Book in mind in fashioning this strategy: The last shall be first, and the first last. For the countywide Brewer vacancy, there are three candidates at present, two of whom are already known to FWIW readers, Kathryn Maloney Vahey and Judge Oran F. Whiting. The third candidate filing in this race is John Maher. Maher's name is linked to a campaign Facebook page; I've been unable to find a campaign website. I believe the candidate is Assistant State's Attorney John G. Maher, who has been licensed in Illinois since 1993 according to ARDC. My conclusion in this regard is heavily influenced by Russ Stewart's October 11 column, which forecast that a John Maher would be on a 'state's attorney's slate' and would file to oppose Whiting. 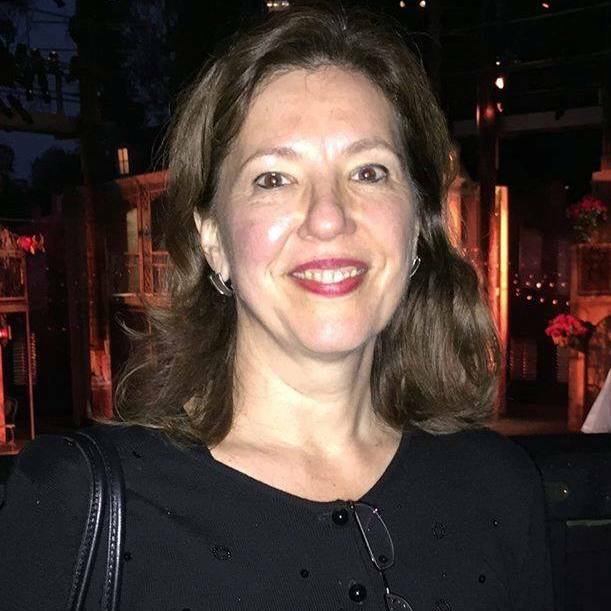 Four candidates filed Monday morning for the Clay vacancy, three of whom were previously introduced to FWIW readers, Kathaleen Theresa Lanahan, Jonathan Clark Green, and Michael I. O'Malley. But also filing Monday was Mary A. Lopez (pictured at left), a partner with the Integrity Law Group. Lopez was a nurse for roughly 20 years before she graduated from law school. According to ARDC, Lopez has been licensed as a lawyer in Illinois since 1999. Her name here is linked to a campaign Facebook page; I could not find a campaign website. There were two candidates filing for the late-opening Dooling vacancy, neither of whom yet appears in the blog Sidebar. One is Tom Sam Sianis, who, as one of the Cook County Democratic Party's alternates, was 'pre-slated' for this race. That's a link to his Facebook campaign page; there is no campaign website yet that I can find. A bullet point biography on the Facebook page lists Sianis's career highlights: Special Assistant Attorney General for the Illinois Attorney General's Office, Enforcement Division Chief of the Illinois Securities Department, Cook County Assistant State's Attorney, and owner of the Billy Goat Tavern. (I will save for a future Page Two post my favorite Billy Goat Tavern story -- the night the great Mike Royko called me a yuppie and then took it back.) Sianis has been licensed to practice law in Illinois since 2004. The other candidate filing for the Dooling vacancy is Assistant Public Defender Timothy John Leeming. I couldn't even find a Facebook campaign page for Leeming, but I did find this May 2014 Law Bulletin story about Leeming's artistic talents. 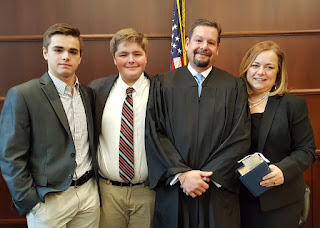 Leeming is the husband of Circuit Court Judge Pamela M. Leeming; he has been licensed as an attorney in Illinois since 1986. I wrote about the four candidates filing for the Flanagan vacancy in a post yesterday. There were two candidates in line at the Board of Elections Monday morning with petitions for the Jordan vacancy, both of whom are known to FWIW readers, Jerry Barrido and Judge Clare Joyce Quish. Two candidates also filed for the McGinnis vacancy, Judge Peter Michael Gonzalez and Brian Terrence Sexton. Gonzalez will be familiar to current FWIW readers, but unless you go back quite a ways with this blog, you may not have heard of Sexton: He sought a countywide vacancy in 2008. His candidacy was forecast by Russ Stewart as part of the 'state's attorney's slate,' but Sexton retired from that office (he had been Chief of the Narcotics Bureau) about a year ago and set up a practice in Naperville. He has been licensed in Illinois since 1987. Contests shaping up in 6th Subcircuit -- or are they shaking up? An outsider like me can't help but wonder whether the sudden withdrawal of Cong. Luis Gutiérrez from the 4th District Congressional race might have major ripple effects in 6th Subcircuit judicial races. We also know that the Democratic Committeemen in the 6th Subcircuit voted to endorse Delgado, Underhill, and Miller. Then the Cook County Democratic Party declared those endorsements void. In addition, we know that, once the collective endorsement was withdrawn, the individual candidates began maneuvering for individual endorsements. Judge Delgado, for example, picked up endorsements from 33rd Ward Committeeman Aaron Goldstein, 32nd Ward Ald. and Committeeman Scott Waguespack, 2nd Ward Ald. Brian Hopkins, Secretary of State Jesse White, and 37th Ward Ald. and Committeeman Emma Mitts. Some of those in a position to make meaningful endorsements are busy right now, eyeing their chances to replace Cong. Gutiérrez. First Ward Ald. and Committeeman Proco Joe Moreno and 35th Ward Ald. and Committeeman Carlos Ramirez-Rosa have both been mentioned as possible candidates. There will likely be others. Cong. Gutiérrez, for his part, has endorsed County Commissioner Chuy García as his replacement... but will this endorsement be sufficient to head off likely challengers? Congressional seats don't open up every day. Just a week ago it seemed that the main action in the 6th Subcircuit would be between those supporting Herrera, Beach, and Perez and those supporting Delgado, Underhill, and Miller. (Nothing is ever quite black and white: 33rd Ward Committeeman Goldstein, who has since announced a campaign for Attorney General, has advised FWIW that the 33rd Ward Democrats are supporting Delgado, Miller, and Beach; the 47th Ward Organization has endorsed these three as well). But the point is this: Next week will last week's allies find themselves on opposite sides in the battle to replace Cong. Gutiérrez? How will any new alignments impact these judicial races? Four #CookCountyJudicial candidates for the countywide Flanagan vacancy are lottery-eligible. Judge Preston Jones, Jr. holds this seat pursuant to appointment by the Illinois Supreme Court. Jones was slated for this vacancy by the Cook County Democratic Party only a few weeks before that September 2017 appointment. Prior to his appointment, Jones served as an Assistant Public Defender. He joined that office in 1994, when he received his Illinois law license. He had been a member of the Homicide Task Force in that office since 2004. Just the other day I heard the Public Defender's Office touted as the current cradle of Cook County judges -- in the way that Miami of Ohio has been, for so many years, a cradle of football coaches. In the course of my professional lifetime, the judicial cradle has shifted. If the needle now points to the PD's office, it used to point more to the Attorney General's Office or the State's Attorney's Office. And who knows where the needle may move next? Keely Patricia Hillison, a partner at Parrillo Weiss LLC, also filed Monday for the Flanagan vacancy. That's a link to the campaign Facebook page in the preceding sentence; I could find no campaign website. Hillison has been licensed as an attorney in Illinois since 1985. 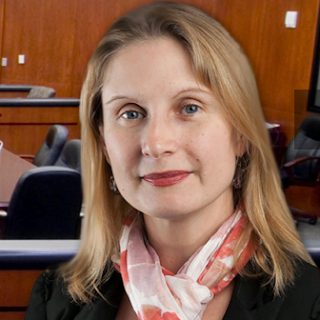 Also filing for the Flanagan vacancy on Monday was Ioana Salajanu, a partner with Rock, Fusco & Connelly, LLC. Salajanu is seeking to become the first Romanian-American elected to the bench in Illinois. Salajanu (pictured at right) has been licensed in Illinois since 2000. The fourth candidate to file Monday for the Flanagan vacancy was Amanda Moira Pillsbury. According to ARDC, Pillsbury, who works as an Assistant State's Attorney, has been licensed to practice in Illinois since 2004. I could find neither a campaign website nor even a Facebook page for Pillsbury, but Russ Stewart reported in this October 11, 2017 column that Pillsbury was part of a 'state's attorneys' slate' and that she would be filing for the Flanagan vacancy. Because each of these four candidates were counted as being 'in line' when the doors opened Monday morning at the Illinois State Board of Elections, these candidates are eligible for the ballot lottery to determine who will have the top ballot position in this race. Anyone filing for this vacancy now would be no more than fifth on the list (unless one or more candidates withdraws or is successfully challenged). For all of you outside agitators out there, or for any other newcomers to Chicago, the references in the headline of this post are to St. Ignatius College Prep and Loyola University, respectively. In any event, supporters of Jeanne Wrenn's 8th Subcircuit bid are planning the above-named fundraiser for their candidate on Tuesday, December 5, from 6:00 to 8:00 p.m., at the Theater on the Lake, 2401 N. Lake Shore Drive, Chicago. The listed hosts for the event are Edward Austin, Colleen Daley, Jack Hartman, Timothy Hogan, Jeff Kent, Fred Krol, Robert Milan, Jane Neufeld, Mike Noonan, Harry Rossi, Peter Wall, Brian Cleary, John R. Daley, Hon. Michael Hogan (ret. ), Megan Hughes, Katie Kelly, John LaMantia, Colleen Rock Mueller, Austin Nicholl, Dan Pikarski, Meaghan Schneider, Brian T. Wrenn, Anne Conway, Steve Fitzgerald, Michael Hogan Jr., Tim Kennedy, Dan Kotin, Ryan McQueeny, Tom Needham, Susan Nicholl, Tom Pikarski, Patrick Schultz, and John Wrenn. Tickets for the event are $100 each (although "graduates of the last decade" will be admitted for $70) and sponsorships are available ($250 - Supporter, Host - $500, Co-Chair - $1,000). For more information, or to reserve tickets, email james@lasallestrategies.com. 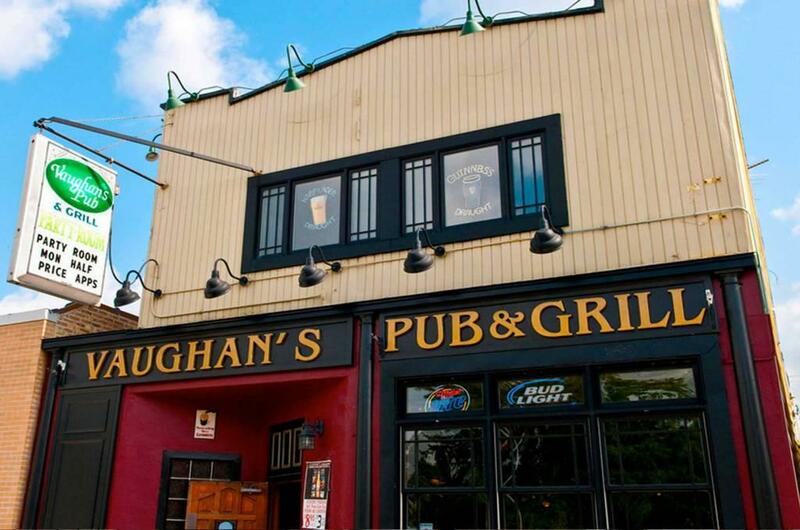 Supporters of Judge Gerald Cleary's bid to hold the Suriano vacancy in the 10th Subcircuit have planned a fundraiser for their candidate for this coming Sunday, December 3, from 4:00 to 6:00 p.m., at Vaughn's Pub & Grill, 5485 N. Northwest Highway, Chicago. Listed hosts for the event are Hon. Robert J. Quinn (Ret. ), Hon. Dan J. Sullivan (Ret. ), Glen Admunsen, Kevin Conway, Mary Kons, Joe McInerney, John O'Connor, Matt Pappas, Larry Schechtman, Larry Smith, and Todd Smith. Tickets for the fundraiser are $50 apiece ($90 per couple), but sponsorships are available ($250 - Supporter, $500 - Host, $1,000 - Platinum Sponsor). For more information, or to reserve tickets, email james@lasallestrategies.com. Supporters of Judge Robert F. Harris's bid to hold the Washington, II vacancy in the 5th Subcircuit have organized a reception in honor of their candidate on Tuesday, December 12, from 6:00 to 8:00 p.m., at the Chicago office of McDermott, Will & Emery, 444 W. Lake Street, 40th floor. Jeff Gargano, Nancy Lagousakos, Dawn Keller, and Howard Berk are the listed hosts. No minimum donation has been specified for this event (although "all contributions will be welcome"), but reservations are required. Email info@craticshaffer.com for more information, or to reserve a place at this function. The Illinois Supreme Court appointed Harris to the Washington, II vacancy just this past September. As of this morning's posting, Judge Harris has yet to file his nominating petitions for this vacancy. The only candidate in this race so far is Shay Tyrone Allen. Well, judge vs. judge vs. ex-judge -- and Feldman. Stephen J. Feldman is the only one of the four lottery-eligible candidates filing for the 8th Subcircuit Fabri vacancy who has never served as a judge. But he has been a hearing officer: Feldman's campaign website stresses his experience as a hearing officer for the Secretary of State's Office, presiding over 1,000 contested hearings. Since 2011, according to the campaign website, Feldman has also served as an adjunct professor at his alma mater, the John Marshall Law School, teaching trial advocacy. Feldman's Facebook campaign page says that he is a lifelong resident of the Gold Coast, attending the Ogden School and graduating from the Francis W. Parker School. He has been licensed as an attorney in Illinois since 2001. He ran countywide in 2014. The ex-judge is James "Jamie" Shapiro. The Illinois Supreme Court appointed Shapiro to an 8th Subcircuit vacancy in 2007. After falling short in the 2008 primary, despite strong ratings from bar evaluators, Shapiro was recalled to judicial service by the Illinois Supreme Court. He served until the end of November 2012, making another run for an 8th Subcircuit vacancy in the 2012 primary. 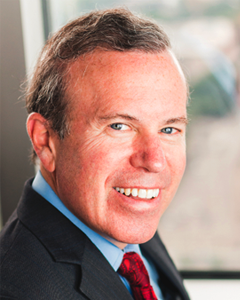 Shapiro has been licensed as an attorney in Illinois since 1985. According to his campaign bio, Shapiro began his legal career with the firm now known as Hinshaw & Culbertson, moving to D'Ancona & Pflaum for a year before serving as an Assistant U.S. Attorney from 1989 to 1995. He became a mediator and arbitrator with Resolute Systems LLC after leaving the bench, and has also helmed his own law firm or partnered with others in a number of firms. 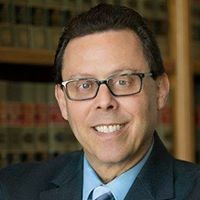 Shapiro was President of the Decalogue Society of Lawyers in 2007-08; he served as a Director of the Alliance of Illinois Judges from 2010 to 2015. 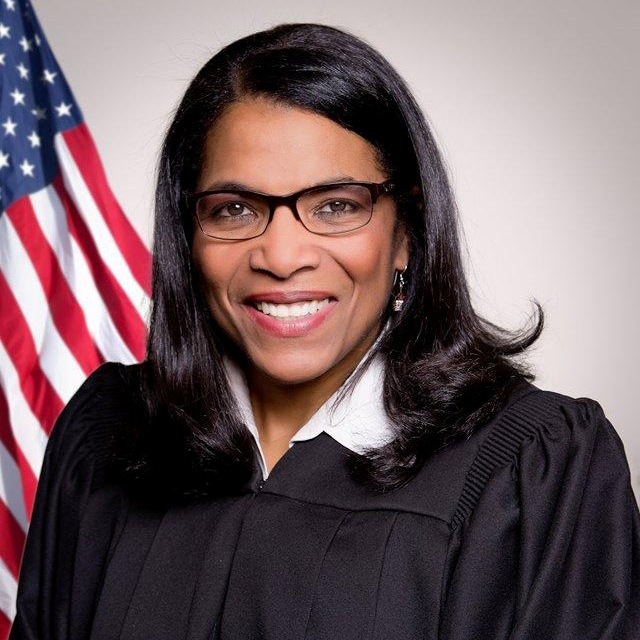 One of the two incumbent judges are Robin Denise Shoffner, who holds this vacancy pursuant to appointment by the Illinois Supreme Court. She previously served by appointment in a 5th Subcircuit vacancy. 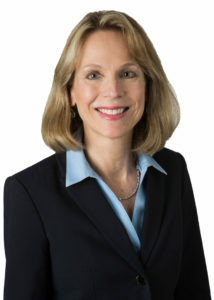 Shoffner's campaign bio stresses her pre-judicial service as a trial attorney for the Federal Civil Rights Division of the Corporation Counsel's Office, as Senior Litigation Counsel for Aon Risk Services, and with the law firm currently known as Albert, Whitehead, P.C. 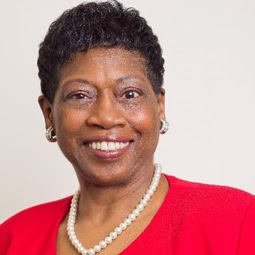 It also notes Shoffner's service as President of the Black Women Lawyers' Association and as a past board member of the Cook County Bar Association. 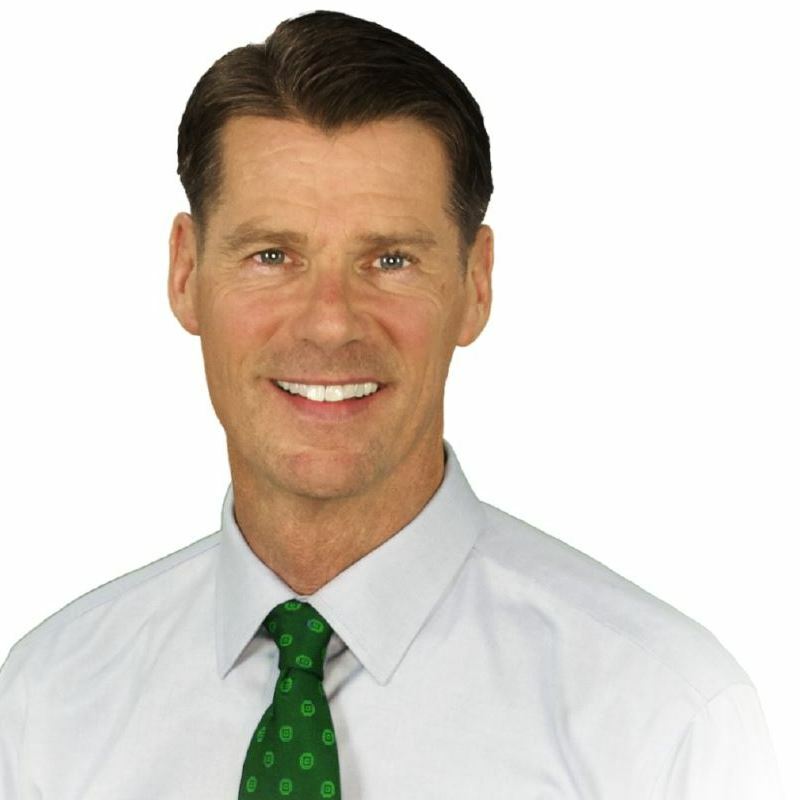 Shoffner was licensed to practice law in Illinois in 1990. According to her campaign bio, Shoffner is an active member of Holy Angels Catholic Church, serving on the Finance Committee and the HIV/AIDS Ministry. Shoffner lives in the South Loop community with her daughter, who attends the South Loop Elementary School. Shoffner was endorsed for the Fabri vacancy by 8th Subcircuit committeemen this past August. The other incumbent judge is Elizabeth Anne Karkula. (That's a link to her campaign website in the preceding sentence; a link has also been added to the blog Sidebar.) The Illinois Supreme Court appointed Karkula to the countywide Rooney vacancy in January 2016, but the Cook County Democratic Party slatemakers declined to endorse her candidacy this past August (she was selected as fourth alternate -- but only three vacancies opened up). Karkula has been licensed as an attorney in Illinois since 1987. Her campaign website notes that, in addition to extensive pro bono work, Karkula served as general counsel to IBEW Local 134 before ascending to the bench. Because each of these candidates was counted as being 'in line' when the doors opened Monday morning at the Illinois State Board of Elections, all four are eligible for the ballot lottery to determine who will have the first ballot position. 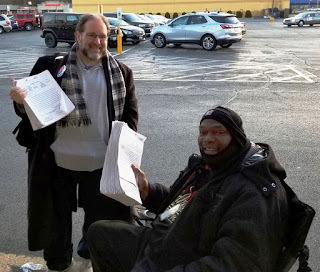 Three candidates filed yesterday for the Scully, Jr. vacancy in the south suburban 15th Subcircuit. Judge Diana L. Embil currently holds this seat pursuant to Supreme Court appointment. She was not of the three candidates who filed yesterday. Assistant State's Attorney Rivanda Doss Beal did file for this vacancy yesterday. Beal may be be familiar to FWIW regulars. Her campaign website is linked in the blog Sidebar. Beal has been licensed as an attorney in Illinois since 1994, according to ARDC. 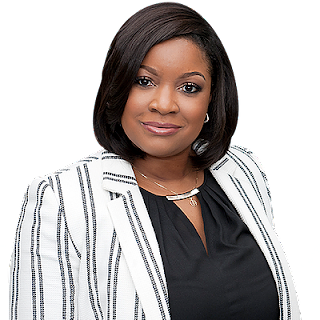 Her campaign website portrays Beal as a career prosecutor who has tried numerous misdemeanor and felony cases. 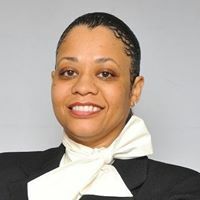 Beal currently serves as a supervisor in the Cook County State's Attorney's Office at Branch 42 on the North Side of Chicago. Michael B. Barrett, who also filed for this vacancy yesterday, may likewise be familiar to longtime FWIW readers. He finished just 15 votes behind Judge Chris Lawler in a 2014 primary cliffhanger. A partner in the Palos Heights firm of Barrett & Sramek, Barrett does not yet appear to have a campaign website up and running. The accompanying photo is from the 2014 campaign. He has been licensed as an attorney in Illinois since 1991. A third candidate filing for this vacancy yesterday was Ashonta Rice-Akiwowo. Licensed as an attorney in Illinois since 2005, Rice-Akiwowo practices in Flossmoor with the Akiwowo Law Group, P.C. A campaign website appears to be under construction, but there is a campaign Facebook page. Because each of these candidates was counted as being 'in line' when the doors opened yesterday at the Illinois State Board of Elections, all three are eligible for the ballot lottery to determine who will have the first ballot position. Supporters of 5th Subcircuit candidate Rhonda Sallee are planning an "Official Campaign Launch & Fundraiser" for their candidate this Friday, December 1, from 5:30 to 8:00 p.m., in the Old Eagle Room of the Polo Inn, 3322 S. Morgan St. Cong. Danny K. Davis will be the "Special Guest Congressman" at the event; music will be provided by Beautiful Sol. Tickets for the event are $75 apiece, but sponsorships are available (Kilobyte Donor - $75 to $500, Megabyte Donor - $501 to $1,000, Gigabyte Donor - $1,001 to $5,000, and Terabyte Donor > $5,001). For more information about the event, or to reserve tickets, email Rhondaforjudge@gmail.com. Sallee filed yesterday for the Banks vacancy in the 5th Subcircuit. Judge H. Yvonne Coleman presently holds this seat pursuant to Supreme Court appointment. Gino Betts has also filed for this vacancy. Supporters of 8th Subcircuit candidate Lindsay Hugé are planning a "Help Knock Out Injustice" fundraiser for their candidate on Wednesday, December 6, from 5:30 to 7:30 p.m., at Burke's Public House, 5401 N. Broadway. Former WBC lightweight champion (and Chicago resident) David Díaz will be the special guest at the event, which will be hosted by 46th Ward Alderman James Cappleman, 47th Ward Committeeman Paul Rosenfeld, and Trisha Rich. Tickets for the event are $75 each, but sponsorships are available ($125 - middleweight, $250 - heavyweight). For more information, or to reserve tickets, email james@lasallestrategies.com. Hugé filed yesterday for the Liu vacancy in the 8th Subcircuit, a vacancy currently occupied by Judge Michael A. Forti, who has also filed in this race. Judge Gerald Cleary has filed to hold this seat, a seat to which he was appointed in late 2016. But Cleary was passed over by Democratic slatemakers in the 10th Subcircuit in favor of Colleen Reardon Daly this past August. Daly is also a candidate in this race. Quinn has been licensed as an attorney in Illinois since 1983, according to ARDC. She practices from an office on North Elston Avenue, just west of Cicero (business website link). According to her campaign bio, Quinn is one of the "few transgender legal professionals in Chicago." 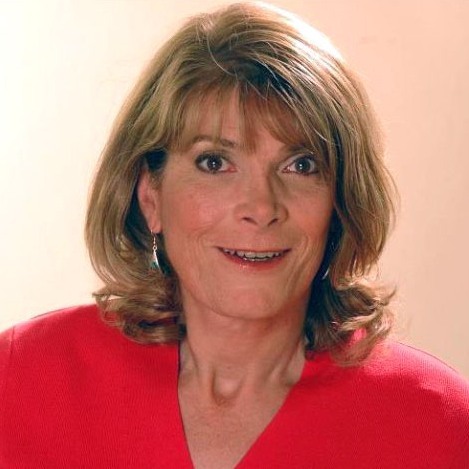 The bio notes that "[b]eing transgender has taught Jill firsthand what it is like to be marginalized and the vital importance of treating all people with fairness, decency and compassion." Only one #CookCountyJudicial candidate filed papers yesterday after the 8:00 a.m. rush. According to ARDC, Fitzgerald has been licensed in Illinois since 1991. 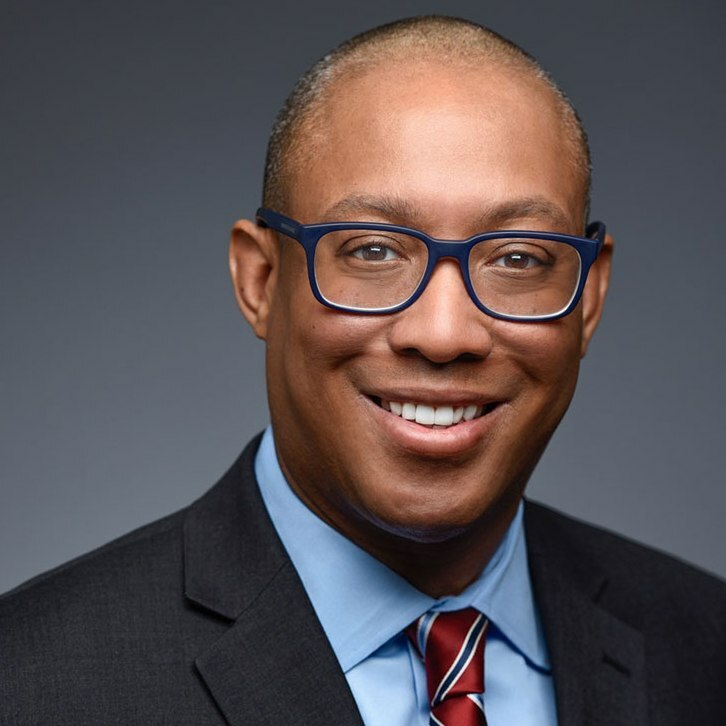 He currently serves as a Senior Counsel for Walgreens, according to his campaign bio, a corporate position which is not on the usual path to the judiciary. However, Fitzgerald's campaign bio also notes that he began his legal career clerking for a Cook County Chancery judge, moving next to the Illinois Attorney General’s office. After six years as an AAG, Fitzgerald became Chief Legal Counsel for the Office of the Inspector General and Chief of the Bureau of Administrative Litigation in the Illinois Department of Healthcare and Family Services. "In this capacity," the campaign bio notes, "Fitzgerald provided legal advice to the Inspector General’s office on healthcare regulatory and compliance matters" and "participated in civil prosecutions and litigation enforcement actions against Medicaid providers, working with the US Attorney’s Office and the Illinois Medicaid Fraud Control Unit to root out Medicaid fraud and abuse." The campaign bio also notes that Fitzgerald has been an elected Trustee of Barrington Township since 2009. 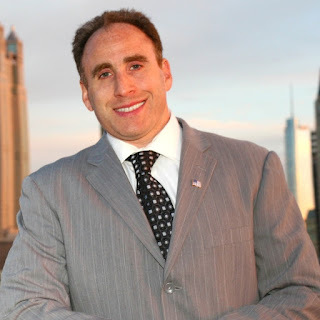 In 2014 Fitzgerald was elected Republican Committeeman for Barrington Township. He also serves on the University of Illinois College of Business Alumni Association Board of Directors, according to the campaign bio. 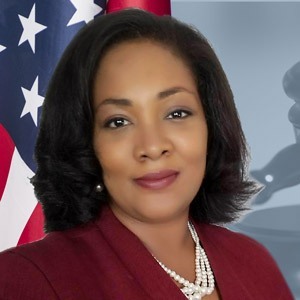 Assistant Public Defender Gwyn E. Ward Brown filed this morning to run against Judge Stephanie Saltouros in the race for the O'Neill Burke vacancy in the 10th Subcircuit. Licensed as an attorney in Illinois since 1991, according to ARDC, Ward Brown has no campaign website at present, but does have this Facebook campaign page. The Illinois Supreme Court appointed Saltouros to the O'Neill Burke vacancy in September 2016. Tenth Subcircuit committeemen slated Saltouros for this vacancy this past August. Gonzalez in as family members look on. I hadn't quite gotten around to doing a post about the Supreme Court's appointment of Peter Michael Gonzalez to the countywide Egan vacancy. I'd meant to. In my defense, I will point out the announcement was only made a week ago -- and I had day-job stuff to do -- and it was Thanksgiving. I can find an excuse or two for almost any of my many omissions. But Mike and his wife, Dawn, were kind enough to invite me to the swearing-in ceremony anyway. And since today's ceremony came only seven days after the announcement, news of the appointment is not entirely stale. Gonzalez did not file this morning for the Egan vacancy; Rosa Maria Silva is so far the only candidate for that vacancy. Instead, Gonzalez filed for the countywide McGinnis vacancy, the vacancy for which he was slated this past August by the Cook County Democratic Party. Speaking on Gozalez's behalf at the installation today were State Sen. Don Harmon, former Appellate Court Justice Marvin Leavitt, U.S. District Court Judge Jorge Alonso, and Circuit Court Judge Rossana Fernandez. Judge Mary Colleen Roberts served as emcee. Supreme Court Justice Anne M. Burke and her husband, Ald. Ed Burke, were among the many dignitaries in attendance. 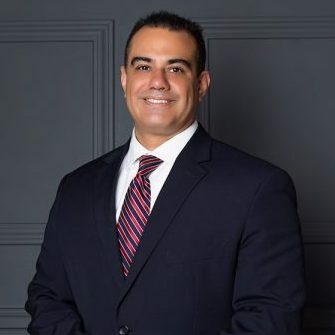 Licensed as attorney in Illinois since 1994, according to ARDC, Gonzalez most recently practiced from an office on 51st Street in Chicago's Gage Park Community. Gonzalez began his legal career as an Assistant Public Defender, spending eight years in that office before setting up his own practice. Gonzalez was an Administrative Law Judge with the Illinois Department of Employment Security from 2003 to 2012. Not all will need it. The Illinois State Board of Elections has begun posting candidate filings that, according to the computer at least, took place after 8:00 a.m. this morning. Eighty sets of petitions were filed for 36 countywide or Cook County subcircuit races but one candidate, Kathryn Maloney Vahey, filed both for the countywide Brewer vacancy and the 4th Subcircuit Riley vacancy. Only three Republicans have filed so far, all seeking either the Crane or O'Donnell vacancies in the 13th Subcircuit; no one was in line to file papers for the 13th Subcircuit Lawrence vacancy when the ISBE opened its doors this morning. No one was in line to file for the Garcia vacancy in the 14th Subcircuit either. Among the slated countywide candidates, only Rosa Maria Silva (Egan vacancy), Thomas F. McGuire (Dunford vacancy), Cecilia Anne Horan (Hartigan vacancy), and Jack Hagerty (Rooney vacancy) are guaranteed top ballot positions; the rest drew lottery-eligible opponents. Supporters of Judge Michael A. Forti's 8th Subcircuit election bid are hosting a fundraiser for their candidate on Tuesday, December 5, from 5:30 to 7:30 p.m., at Moe's Cantina, 155 W. Kinzie St. Tickets for the event are $125 each, but sponsorships are available (Friend - $250, Supporter - $500, Host Committee - $1,000). Three Chicago aldermen, Edward Burke, Brendan Reilly, and Tom Tunney, are the listed co-hosts for the fundraiser. For more information about the event, or to reserve tickets, email Matt at Info@JudgeForti.com or call (708) 512-4930. First, from Jerry Barrido... the line outside the State Board of Elections. Everyone in line when the doors opened has a shot at the top ballot position in their race; they are lottery-eligible. If you were listening to Newsradio 780 this morning, you wouldn't have understood that. The reporter knew that top ballot position was often determined by lottery but he thought people waited in line all night merely for "luck." No. The long wait is the price of admission to the lottery. 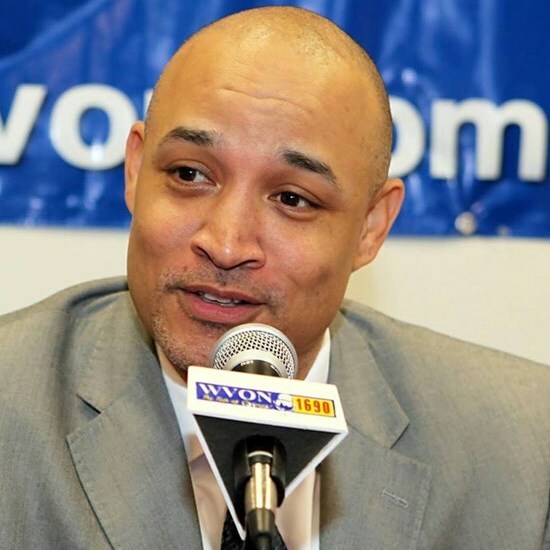 If candidate Smith was the only person in line looking to file for the Jones vacancy when the doors opened in Springfield at the Illinois State Board of Elections, Smith would automatically be awarded the coveted top line. Candidate White, seeking to file for the same vacancy, but who stopped for gas in Bloomington, and didn't make it until 8:15 -- long before the line outside was fully inside -- still must settle for second on the ballot. 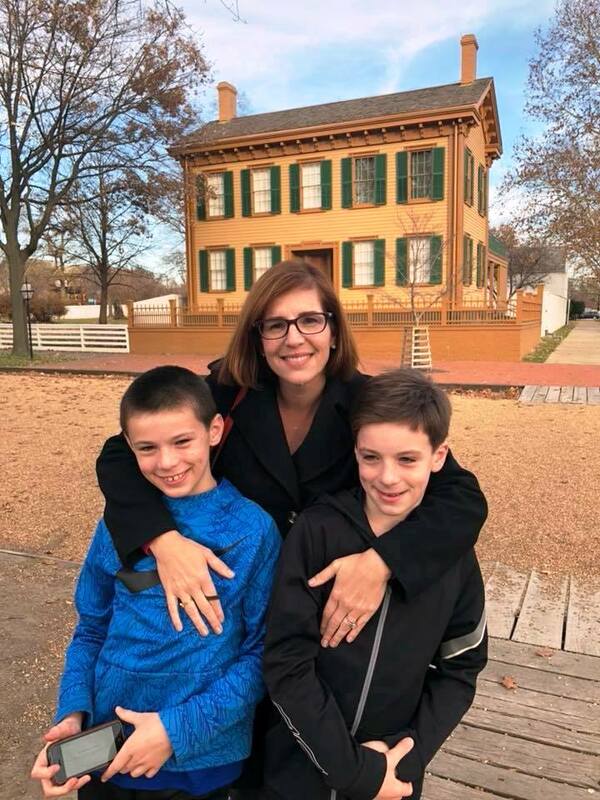 According to Facebook, Kathryn Maloney Vahey got to Springfield early and got her family out to see some of the Lincoln sites. I approve. What do you call a shill who polls a little too well? After the first Monday in December 2018, such a person might be addressed as "Your Honor." It's a weak joke, perhaps. But I get comments with distressing regularity about this candidate, or that one, being a "shill." Most of these get flushed. But what is a shill, you ask? A shill is a person who files for election to a particular office at the behest of another candidate, a pseudo-candidate with no serious intention of campaigning and with every intention of withdrawing if asked to by the person who put him or her up to it. Is there anything illegal about being a shill? I couldn't find anything that prohibits it in the course of my research. But I don't pretend to be an expert. So I reached out to a prominent election lawyer and asked him the question. The election lawyer, who asked not to be named, said that he also knows of no legal prohibition against recruiting a shill or filing as a shill. So... are there really a lot of shill candidates in judicial elections? My election lawyer contact said he doesn't think there are a lot of shill candidates in judicial races; there may not be any at all. That was my perception, too. Sure, some candidates work 24/7 at campaigning and fundraising and go everywhere and see everyone... and some candidates get their name on the ballot and hope for lightning to strike. In 1996 I was one of those looking-for-lighting candidates. I finished dead last in my race. On the other hand, in 1994, I campaigned as hard as I could and raised money and spent more and went everywhere that would let me in and stood outside a lot of other places besides... and I still finished dead last. I wasn't a shill on either occasion. I was merely an inexperienced and ineffective candidate. No one bothered trying to 'steer' me toward this race, or away from that one, either time I ran. I wasn't important enough to be of concern to anyone. However, in the run-up to the opening filing date, on November 27, it is just possible that some current candidates have been contacted with offers of help with petitions... or campaign contributions... or endorsements... or some other good and valuable considerations... but only if the candidate chooses to run for the Smith vacancy... not the Jones vacancy. I don't say this has happened, only that it might have. A novice candidate, or a naive one, might even be flattered by offers of help, even offers with strings a mile long. But beware. Candidates, if someone offers you free advice, and that someone is not your spouse or significant other, that someone might be working for someone else. My advice, candidates, is trust in the Lord alone -- and watch everyone else like a hawk. Candidates should be wary even of persons they hire. If the doctrine of caveat emptor has fallen into disrepute in other areas, it is alive and well in the non-beanbag world of Cook County politics. I don't suggest you reject all offers of help or refrain from hiring help where you can. Just don't place your future entirely in anyone else's hands. Stay vigilant. Trying to 'steer' or plant candidates can be fraught with peril in any race, for any office: I don't subscribe to conspiracy theories -- but if you had told me, two years ago, that some Democratic Party sharpies had, through however many intermediaries, flattered or otherwise 'steered' a certain megalomaniacal Manhattan multi-millionaire into making another run for the White House, with the aim of wreaking havoc in the national Republican party and making the eventual Republican nominee (who couldn't possibly be the aforementioned multi-millionaire) that much more vulnerable to the inevitable Democratic candidate, well, I'd have believed you. In fact, even after the various Russian revelations, sometimes I still think this is the only explanation that truly fits the facts. I can imagine these nameless, faceless persons (well, I can't put names to them), agonizing like Zero Mostel, as Max Bialystock, "Where did I go right?" Anyway, candidates, even though you probably won't see it here in the comments, some of you are sure to be called shills in the days to come. Don't take it personally. Supporters of Jonathan Clark Green's countywide judicial bid are planning a "Lakeview Neighbors Event" on Saturday, November 18, from 9:00 to 11:00 a.m., at 3150 N. Lake Shore Drive, in the Party Room, Lower Level. Refreshments will be served. To reserve a place at, or for more information regarding, the event, call (773) 327-1037 or email mmd3150@gmail.com. Supporters of Caroline Jamieson Golden's 4th Subcircuit have scheduled a fundraiser for their candidate on Saturday, November 25, from 5:00 to 8:00 p.m., at the Brookfield Ale House, 8900 Fairview Drive, Brookfield. Tickets for the event are $50 each, but sponsorships are available (Bronze - $100, Silver - $150, Gold - $250). Tickets will be available at the door. Complimentary appetizers and drinks will be provided. For more information about the fundraiser, or to reserve tickets, email goldenforjudge@gmail.com. Supporters of Jeanne Marie Wrenn's 8th Subcircuit bid are planning a fundraiser for their candidate tomorrow evening, Wednesday, November 15, from 5:30 to 7:30 p.m., at Seven Lions Chicago, 130 S. Michigan Avenue. Tickets for the event, which Co-Chairs Anne Wrenn O'Leary, Sarah Burke, and Mary Pat McKenna are calling "An Evening of Wine, Women & Wrenn," are priced at $150 each, but sponsorships are available ($500 - Host, $1,000 - Co-Chair). Master Sommelier, restaurateur, and long-time television host Alpana Singh will be featured at the event. Other hosts for the gathering include Marcy O'Keefe Twardak, Meaghan Schneider, Kati Donnelly, Rebe Sckrabulis, Kim Halvorsen, Kate Goyert, Colleen Mueller, Katie Kelly, Kathy McCauley, Mari Craven, and Dolores Connolly. For more information about the event, or to reserve tickets, email james@lasallestrategies.com or call (773) 307-9262. It's hard to beat the price for a Facebook campaign page (zilch) and many judicial campaigns start off with Facebook pages before obtaining their own (paid-for) websites. At present, Patrick Dankwa John's only campaign website is this linked Facebook campaign page. John had only a Facebook page in 2016 as well, when, as Patrick D. John, he sought a 7th Subcircuit vacancy. 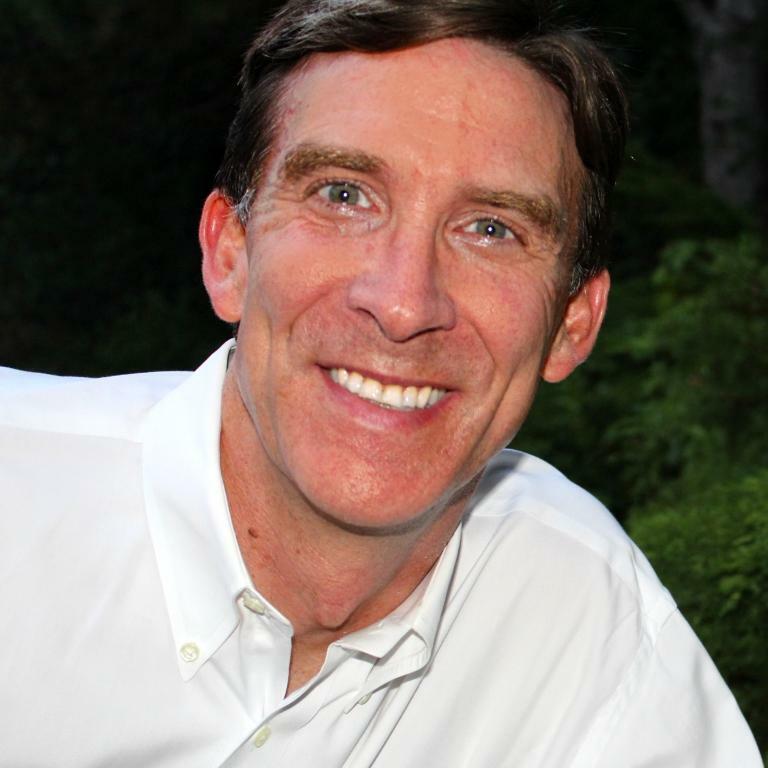 Licensed as an attorney in Illinois since 1998, John works for The Barclay Law Group, P.C., focusing on family law. He is a resident of Chicago's Austin neighborhood. Joel Chupack is exploring a race for the 12th Subcircuit vacancy, according to his Facebook campaign page. A partner in the Loop firm of Heinrich & Kramer, P.C., Chupack's focuses his practice in the area of real estate litigation. Licensed as an attorney in Illinois since 1982, Chupack is a former President of the Decalogue Society of Lawyers. He has also served as Chair of the Illinois State Bar Association Real Estate Law Section Council and as an ISBA Assembly member. Chupack was a finalist for associate judge in 2016. The reader who alerted me to Erika Orr's campaign website idiot-proofed it for me; he or she gave me both the candidate's name and the web address for the site, which is linked in this sentence and also in the blog Sidebar. Her campaign site states that Orr works as a solo practitioner, with an emphasis on domestic relations. Her site notes that she also handles "contracts related to surrogacy, real estate sales transactions, franchise agreements and entertainment agency agreements." Before setting up her own practice, according to her site, Orr "practiced international tax law where she specialized in international acquisitions and dispositions, accounting for income taxes of publicly-traded and private equity portfolio companies, including dealing with complex income tax matters such as undistributed earnings of subsidiaries." Licensed as a lawyer in Illinois since 1998, according to ARDC, Orr is planning to run in the 1st Subcircuit. This appears to be Orr's first attempt at seeking judicial office. She did appear before Democratic Party slatemakers this past August looking for a spot on the county ticket. Another reader advised of the candidacy of Shay Tyrone Allen for a 5th Subcircuit vacancy. I have since found this campaign website. That's a link to the site in the preceding sentence; a link has also been added to the blog Sidebar. Allen's campaign bio notes that he is a former "Cook County prosecutor who handled thousands of complex cases from drug charges to high-profile murder cases." Allen "later served as a litigation specialist at Lee & Fairman, one of the largest minority-owned law firms in the Midwest, where his primary practice areas included criminal defense and civil litigation." His current practice, according to his campaign bio, "focuses on civil rights, criminal defense and personal injury." 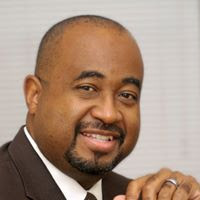 Allen has been licensed as an attorney since 2005, according to the ARDC website which does list a pending ARDC complaint against the candidate. Readers should note that ARDC complaints are merely requests, by the ARDC, for the imposition of discipline against an attorney on account of alleged misconduct. However, only the Illinois Supreme Court imposes penalties against a lawyer and, because his case is pending, no discipline has been imposed against this candidate. This is Allen's first attempt at seeking election to the bench. He did apply for associate judge earlier this year. A campaign website has been established for Assistant Public Defender Ieshia Gray. That's a link to her site in the preceding sentence; a link has also been added to the blog Sidebar. Gray has been licensed in Illinois since 2002, according to ARDC. She has spent her legal career with the Public Defender's office. Her campaign bio says that Gray is the "product of a working-class family and the first in her family to attend a four-year college." She is an active member of the Park Manor Christian Church on the south-side of Chicago, where she has sung in the choir, served as chair of the Trustee Board, and taught as a part of the Sunday Teen Ministry. She is also a member of Alpha Kappa Alpha Sorority, Inc. Gray lives in Homewood with her husband, a Cook County Sheriff, and their children. A campaign website has also been launched on behalf of a judicial bid by Marcellus H. Moore, Jr. That's a link to the site in the preceding sentence; a link has also been added to the blog Sidebar. 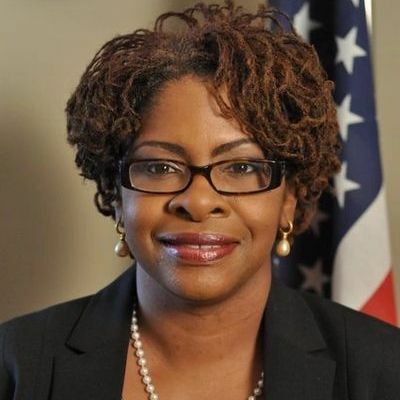 Moore has been licensed as an attorney in Illinois since 2007, according to ARDC. He practices with The Alliance Law Group, P.C. in Chicago's Loop. Moore's campaign bio states that he obtained his MBA and JD degrees from Northwestern in 1998. 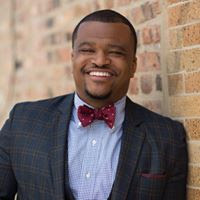 Before setting up his own practice, Moore worked "with international & global companies including Booz Allen & Hamilton (management consulting), Jones Lang LaSalle[,] and Grubb & Ellis (commercial real estate)." Moore's campaign bio describes his current practice as "largely composed of real estate, business litigation, and family law." In his family practice, Moore serves as a Guardian ad Litem/Child Representative. 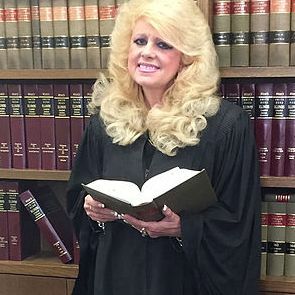 Moore applied for associate judge in 2015. Assistant Public Defender Rosa Silva's campaign website is up and running. (That's a link to the website in the preceding sentence; a link has been added to the blog Sidebar.) Silva, you may recall, is the first of the three former alternates to be slated by the Cook County Democratic Party as new countywide judicial seats have opened up. As near as I can tell, she is so far the only one of the three to have a campaign website up and running. This will change soon enough. According to ARDC, Silva has been licensed as an attorney in Illinois since 2001. 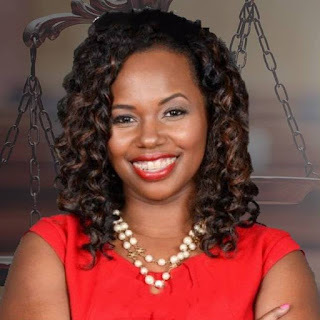 Her campaign bio notes that she is currently assigned to the Homicide Task Force, having tried "over 100 bench trials and over 60 felony jury trials." Silva is a member of the Cook County Public Defenders Association, AFSCME Local 3315, currently serving as a steward, according to her campaign bio. Sliva has served as president of the Hispanic Lawyers Association of Illinois (2010-2011), according to her campaign bio, and is currently the Recording Secretary of the Women's Bar Foundation. In addition to her undergraduate and law degress, Silva holds a Master's Degree in Sociology from the University of Illinois at Chicago. 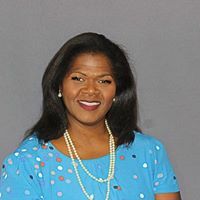 She has served as a volunteer through Lawyers in the Classroom, teaching elementary school students about constitutional law, and also volunteered with the 26th Street Readers, tutoring elementary school students at Kannon Elementary in the Lawndale neighborhood. Silva was a candidate for a 7th Subcircuit vacancy in the 2016 election cycle. Per email received, Mary Alice Melchor has launched a bid for a 5th Subcircuit vacancy. Her supporters recently launched a campaign website in support of this effort. That's a link to the site in the preceding sentence; a link has also been added to the blog Sidebar. 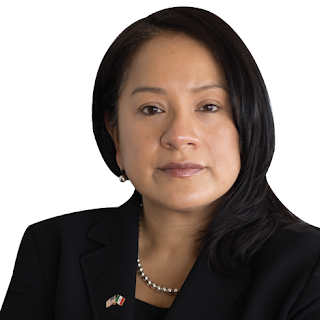 According to her campaign bio, Melchor currently serves as Inspector General for the Clerk of the Circuit Court of Cook County. Previously, according to the campaign bio, Melchor was the Associate Clerk of the County Bureau (2003-2005) and as the Chief Deputy Clerk in Maywood (2002-2003). 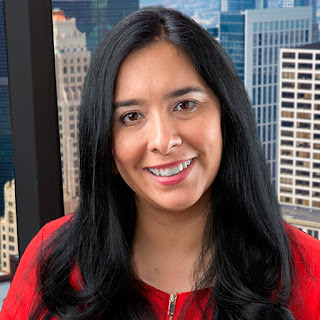 Melchor has also worked as an "insurance defense attorney with the Chicago Housing Authority and an in-house attorney for Liberty Mutual Insurance," according to her campaign bio, and as a private attorney "specializing in real estate, family and probate law." She has been licensed as an attorney in Illinois since 1992, according to ARDC. A former President of the Black Women Lawyers' Association (2008-09), Melchor has also served as the treasurer and legal consultant of the Cosmopolitan Community Church, where she has been a member for 41 years. Melchor was one of 50 women honored by the Chicago Defender in 2016 as a Woman of Excellence. Melchor previously filed for a 5th Subcircuit vacancy in the 2016 election cycle, but withdrew before the primary. She was a countywide judicial candidate in the 2014 primary. 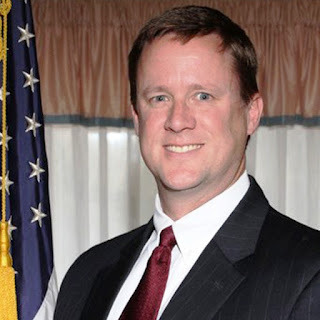 Found on the Internet: A campaign website for Assistant State's Attorney Michael I. O'Malley. That's a link to the site in the preceding sentence; a link has been added to the blog Sidebar as well. According to his campaign biography, O'Malley began his professional life as a CPA following his graduation from Northern Illinois University with an accounting degree. During this phase of his life, O'Malley worked for "several large corporations including AON, the Northern Trust Company, and JP Morgan Chase." He attended law school at night at John Marshall while still working for Chase. He has been licensed as an attorney in Illinois since 2005. 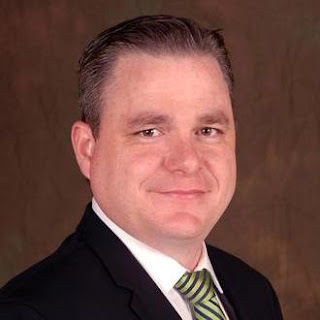 As an Assistant State's Attorney, O'Malley has worked in the Criminal Prosecutions Bureau and the the Public Corruption and Financial Crimes Units. In this latter role, according to his campaign bio, O'Malley "led several investigations and prosecutions of individuals who embezzled funds from the taxpayers of Cook County." Among these, according to the campaign bio, were the "investigation and prosecution of 7 individuals who stole nearly $1,000,000 from the Chicago Public Schools" and the "prosecution of two public officials who stole $350,000 from a southwest suburban fire department." A native of Elmwood Park, O'Malley attended Fenwick High School. According to his campaign bio, O'Malley has also "volunteered for several community organizations throughout Cook County, including Immaculate Conception grade school on Chicago’s northwest side, St. Agatha’s Catholic Church in Chicago’s Lawndale neighborhood, and St. Pius V Catholic Church in Chicago’s Pilsen neighborhood." O'Malley has coached law school trial teams and "in judge trial advocacy competitions." O'Malley was a countywide judicial candidate in 2016. FWIW has been unable to independently confirm this, but Russ Stewart reported, in this October 11 column, that O'Malley is targeting the countywide Clay vacancy as part of a slate "consisting of current or former courtroom prosecutors or public defenders." 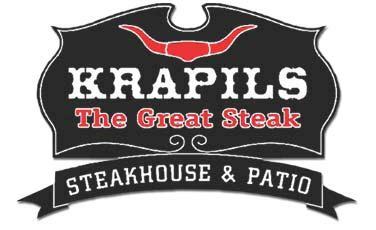 Supporters of Kevin Cunningham's 3rd Subcircuit bid are planning a fundraiser for their candidate on Wednesday, November 8, from 5:30 to 7:30 p.m., at Krapil's Steakhouse, 6600 W. 111th Street, in Worth. Tickets for the fundraiser are $100 each, but sponsorships are available (Level I - $125, Level II - $250, Level III - $500). The Host Committee for this event includes The Honorable Frank Castiglione (Ret. ), The Honorable Colleen McSweeney Moore (Ret. ), The Honorable David Sterba (Ret. ), Mike Chomiak, John Fairman, Dan Farrell, David Fewkes, Kelly Moore, Bob Olson, Rick Ryan, and Matthew Walsh. Listed as "Honorable Chairpersons" for this event are Michael Madigan, Edward M. Burke, Vincent Cainkar, Derrick G. Curtis, Matt O'Shea, John O'Sullivan, and Michael R. Zalewski. Cocktails and appetizers will be served. For more information about the fundraiser, email james@lasallestrategies.com. Rhonda Sallee has announced her intention to seek a 5th Subcircuit vacancy in the March 2018 primary. She has no campaign website at this time, but does have a Facebook page. Her campaign also has a dedicated Paypal page (that's my formulation; forgive me if I have the terminology wrong) through which campaign donations can be made. Sallee's campaign has also announced a Friday, November 17 fundraiser, to be held in the Penthouse of the Quadrangle House, 6700 S. South Shore Drive, Chicago. The event begins at 5:30 p.m., and tickets are $50 each. Tickets must be purchased through the Paypal page. Sallee was a countywide judicial candidate in 2012; she also filed as an independent candidate for a 5th Subcircuit vacancy in 2016, although she withdrew from that race. According to ARDC, Sallee has been licensed as an attorney in Illinois since 1999. She maintains an office in the Temple Building in Chicago's Loop (77 W. Washington). According to her LinkedIn page, Sallee is affiliated with Illinois Real Estate Partners, an organization which (according to its LinkedIn page) partners "with mortgage companies, attorneys, home inspectors, title companies, accountants and certified financial planners to offer our clients the best service possible." Sallee's LinkedIn page also notes that she has served as a hearing officer for the ARDC, as an arbitrator in the Cook County Mandatory Court-Annexed Arbitration System, and as administrative law judge (though the LinkedIn page does not specify the agency for which she works, or has worked). Now with additions and corrections posted. A new countywide vacancy (the vacancy of Judge Laurence J. Dunford) has popped up on the official list of vacancies published by the Illinois State Board of Elections, just in time for my favorite two day weekend of the year, the one where we turn the clocks back and thereby gain an extra hour. Many people forward to the additional hour of sleep. Judicial candidates look forward to the extra hour to gather petition signatures. Anyway, without further preface, herewith the current vacancy list (as usual, all errors of omission or commission in this list are mine alone and I am grateful for additions and corrections provided). Vacancy of the Hon. Thomas E. Flanagan -- Preston Jones, Jr. If you're keeping score at home, you'll notice that there have been three countywide vacancies posted since the Cook County Democratic Party's August slating meeting. The list of eight alternates that emerged from that meeting, which seemed rather... improbable (I'm looking for as neutral a word here as I can) at the time, doesn't seem quite so far-fetched any longer -- at least not for Rosa Maria Silva, Tom S. Sianis, and Thomas F. McGuire. These individuals are now, according to the Democratic Party's August announcement, duly endorsed countywide judicial candidates.